We think MEDrefer is pretty awesome, but if you don’t know much about us, you might not really understand the benefits we can offer to GPs, specialists and patients. Here are the top ten reasons we believe MEDrefer makes a big difference in the Australian referral system. MEDrefer allows doctors to keep their profiles up to date. Specialists and Allied Health Professionals can update their profile and availability at any time, so information is kept up to date. GPs can confirm your specialties, subspecialties and special interests at the point of issuing a referral. This reduces the likelihood of “missed referrals”. MEDrefer allows referring doctors to see wait times and discuss these with patients. They can also see other details such as discipline, location, gender, language and special interest areas. All these factors help patients receive the most timely and suitable care to meet their requirements. MEDrefer allows practitioners to fulfill their duty of care obligations. Specialists can notify GPs of cancelled appointments and no-shows with a single click and can also send reports following successful appointments straight to the GP’s Clinical System inbox. MEDrefer is integrated with leading clinical software. 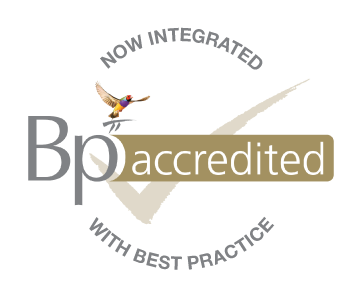 In 2014, MEDrefer integrated into one of Australia’s leading GP clinical software programs, Best Practice. We’re also working on an update to integrate with leading specialist software, Genie. MEDrefer minimises the likelihood of your patient having to return to you for another referral. Our easy to use referral system lets the GP choose anywhere from 1-5 specialists to refer to, with a single referral letter. This way, if the first specialist isn’t available for any reason, the patient can try one of the other recipients the GP recommended to them. MEDrefer provides secure and easy storage options. If the specialist accepts the referral, the formal referral letter can be securely and automatically downloaded direct to their clinical software package, and in PDF format for hardcopy storage. Information is available before accepting the referral. Reception staff are able to access a short summary of the referral before accepting the patient. 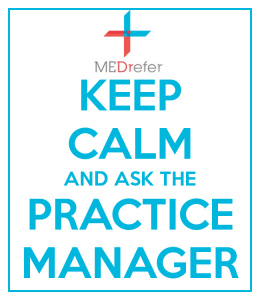 MEDrefer allows both specialists and practice managers to access referral information. We’re about to introduce our new practice manager accounts, which means that practice managers have easier access to specialist referrals for their clinic and can accept and organise appointments on a specialist’s behalf. MEDrefer has a great support team. Our support team know the system inside out and are always ready to answer questions and provide information about using MEDrefer to its full potential in your practice. MEDrefer is always adding new features. Our goal is to make the referral process as simple and accessible as possible for the GP, specialist and patient. We rely on your feedback to make sure the service achieves this, so we’re always happy to speak with you to hear your ideas about how me might do things better. GP Connections is a Queensland not for profit organisation which provides resources and information for general practitioners and their teams. Founded in 1993, they’ve helped provide training and feedback to practitioners through webinars, seminars and email forums. In August this year, GP Connections publicly endorsed the MEDrefer program. You can see Ken Murphy, GP Connections Managing Direction, talking about MEDrefer in the video below. 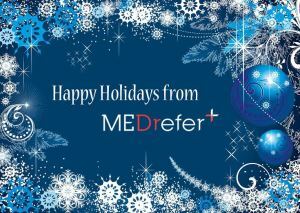 This year has been a very exciting time for MEDrefer. And in that excitement, our blog has not received as much attention as it should. We plan to change that, but first we’ll tell you a little about what we’ve been up to in the interim. We’ve integrated with leading clinical software Best Practice. This has given us the opportunity to combine the MEDrefer referral process seamlessly into the program that over 40% of Australian GPs use every day. We’ve seen our database continue to grow, making it one of the leading specialist databases in Australia. We have plans to expand it even further but we can’t share all the details on those plans just yet! 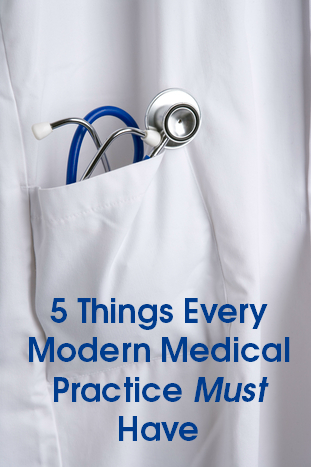 We’re also preparing to release updates aimed specifically at Practice Managers. We’re always looking to improve the MEDrefer program and we’ve seen that Practice Managers play an integral role in the management of referrals. So we’re releasing an update to help them liaise with specialists and accept referrals in a more streamlined and efficient way. We’ve allowed Practitioners to add all sites they practice from. When we launched, you could only add your primary site, which was frustrating for some of our users. Specialists and Allied Health Professionals can list a different availability at each site they practice from. Another update coming soon is an integration with leading specialist software Genie. Specialists will be able to update their availability automatically based on their appointment book and their are lots of other exciting features we’ll be offering as well. Along with our technical updates, we’ve also expanded our staff and we’re now launching further into the world of social media, so you can contact us directly through your preferred platform if you have any questions or need support. Our staff are available 5 days per week, to help you however you need. You can be sure that we’ll be posting more blog updates soon, as interesting new things happen in the MEDrefer world. This is a big day for us at MEDrefer. We’ve officially entered the soft-launch phase for our online search and referral tool, MEDrefer. It’s not yet fully functional – some key features are still being tested – but in the meantime, we thought it was time to share our practitioner search tool with you. We’re hoping you’ll find it useful and that you find some new practitioners nearby that you weren’t aware of. or learn more about the tool and the features that we’re confident will forever change the way Australian medical practitioners refer their patients to each other. As you use it, keep some notes, and please, pass them on to us, good and bad. We’re committed to building a tool that responds directly to your needs as practitioners. We’ve been working hard over the last eight months by engaging you directly at conferences, summits, and in your practices. Now MEDrefer is entering the next phase of its life, where we can demonstrate both the fruits of those efforts and our commitment to continually enhance the tool in response to the feedback of you, our users. Best of all, for a limited time, its free for everyone to use. When we launch our referral engine in early July, it will cost Specialists and Allied Health Professionals a rather modest $3.90 (ex. GST) per referral they accept. For GPs, it will be free forever.